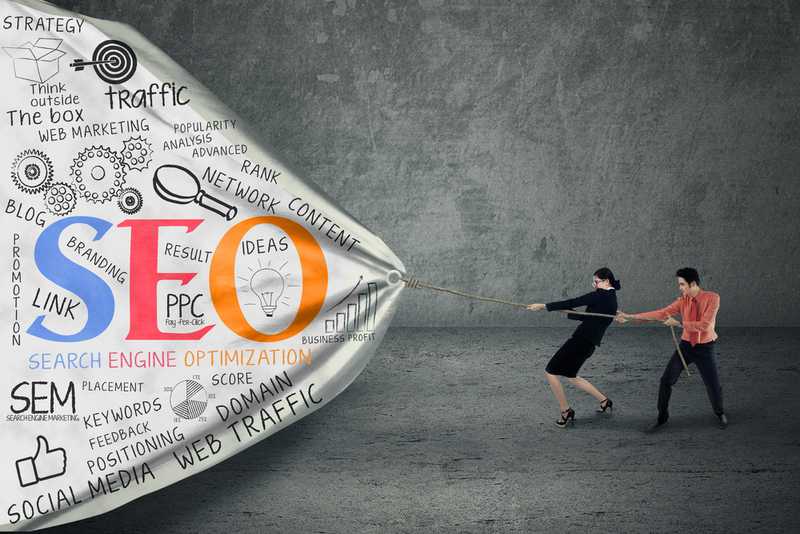 SEO is not VOODOO or BLACK ART! There is a science to it, a methodology that each search engine requires us internet marketers to follow, abide and obey! Our job is to provide you with a compliant service with one ultimate objective to rank you on the first page of Google. Ranking on first page applies to desktop, mobile and maps (should you have a local address). Keyword research and tabulation, benchmarking it with keywords generated by your competitors. Establishing keywords that are relevant to your business but creating a point of difference. Keywords can be technical terms but it really tests the notion of empathy, putting your business in the mindset of the buyer. Once the keywords are tabulated, the structure and flow of your pages become another key factor. Stuffing of keywords into titles or the page is not the way to go. It is important but note the word stuffing! Back links, don't simply buy back links and expect to rank. Some sites will give you a negative link and you will be de-ranked. Fresh content has to be done weekly if not at least twice a month. Blogs and news updates are great and if you don't like writing, get on a video and talk. Either way, having fresh content is important but don't just keep on your website, share it on social media. Social media marketing is part of SEO, an important part of SEO. It shows that people are reading your content and navigating through your website. Don't discount the importance of Social Media BUT make sure you are not running yourself ragged having many social networks and not maintaining any of them. Ultimately the biggest prize in SEO is inbound leads and sales. It is very important to marry up marketing strategy with sales. If you want a review on your business model, make an appointment with us HERE. We have SEO Engineers who know how to rank your products and websites on the first page of Google. Depending on how much you want to get involved, our team can drive all your SEO requirements and make it happen. If you don't want the burden of learning a specialty subject, we are your best partners in crime!